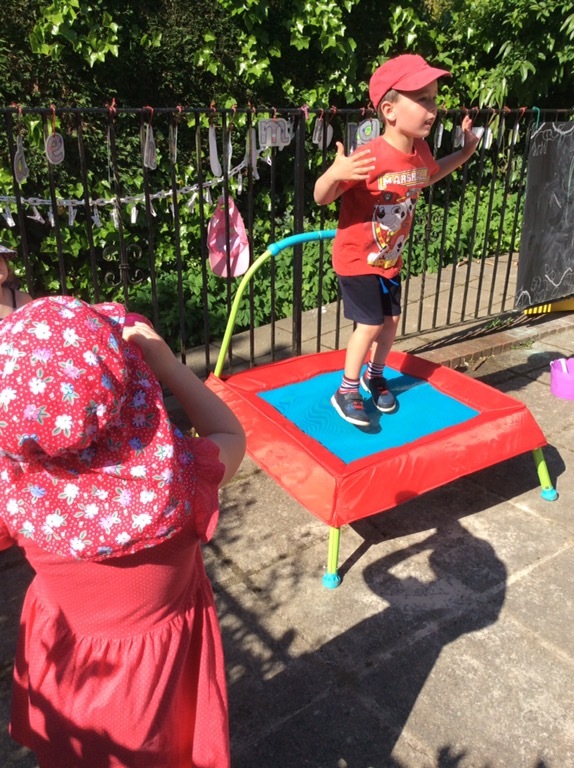 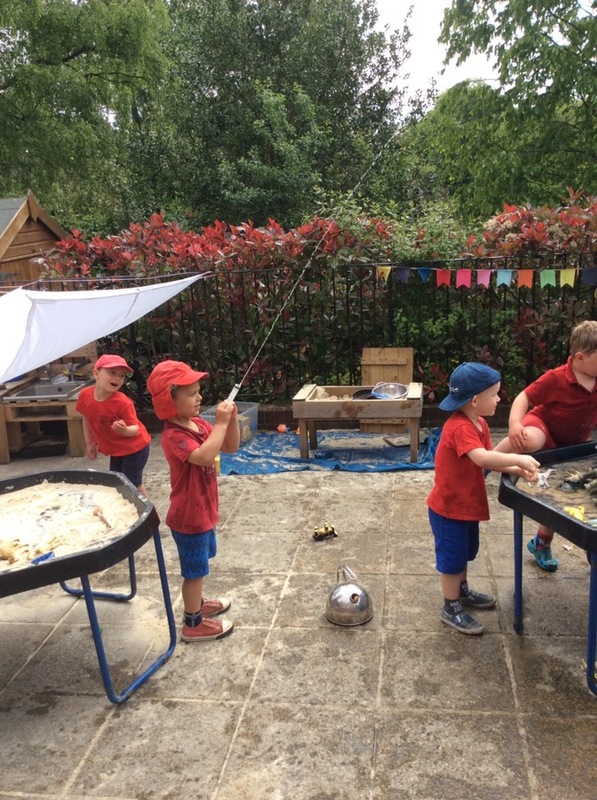 We have had so much fun this week we thought we should share some more pictures. 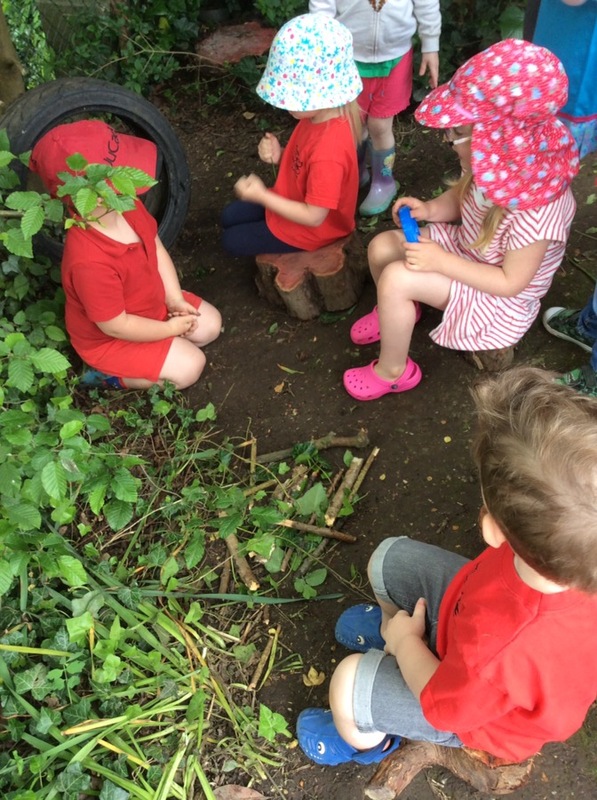 We’ve been using our imagination to create camp fires, toasting marshmallows and singing songs in our wooded area. 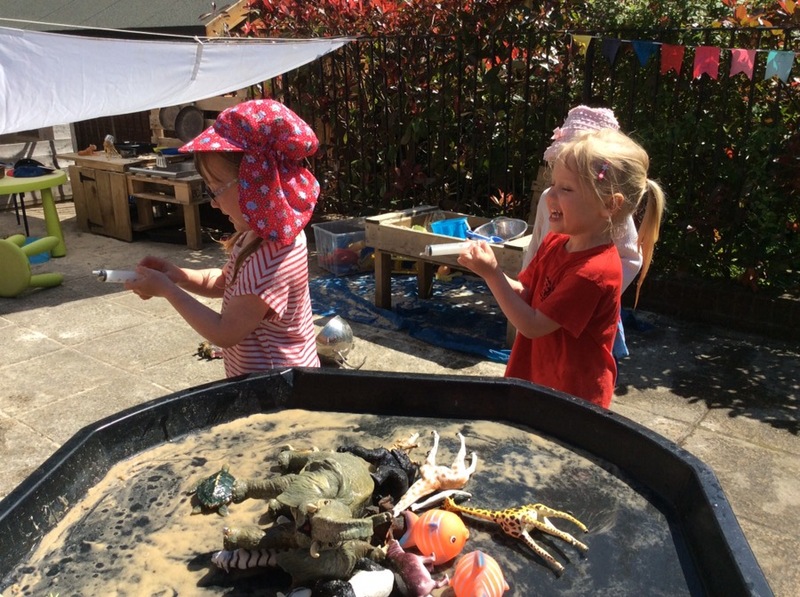 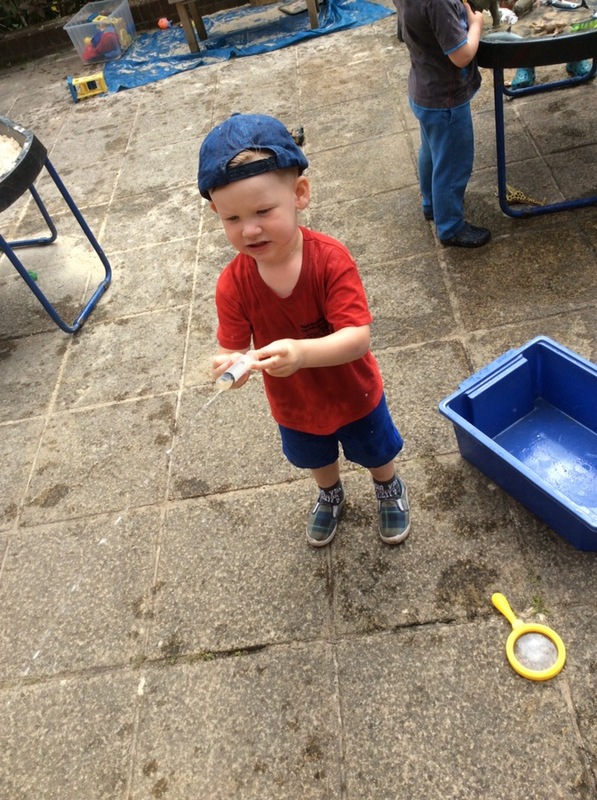 We have made the most of the beautiful weather and been exploring water using syringes, tubes, spoons and pipettes. 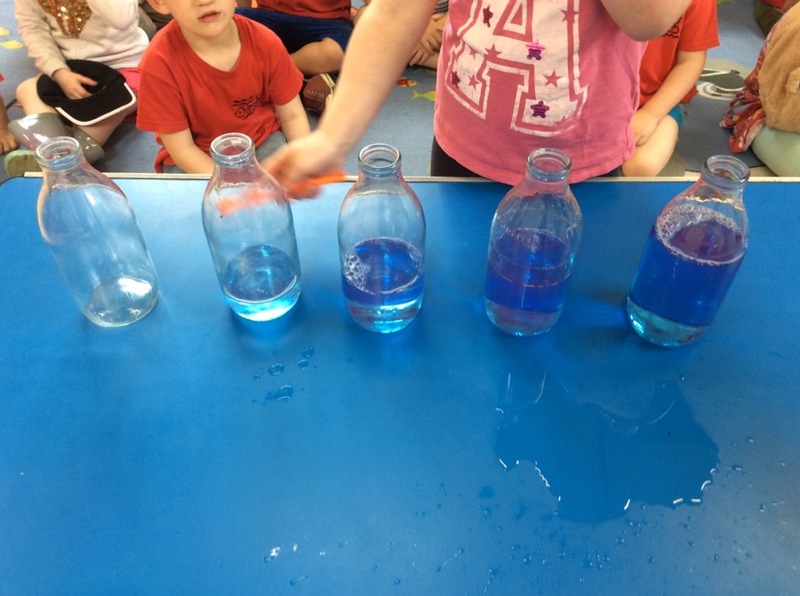 We’ve looked at volume and estimating how much water will fill a variety of containers. 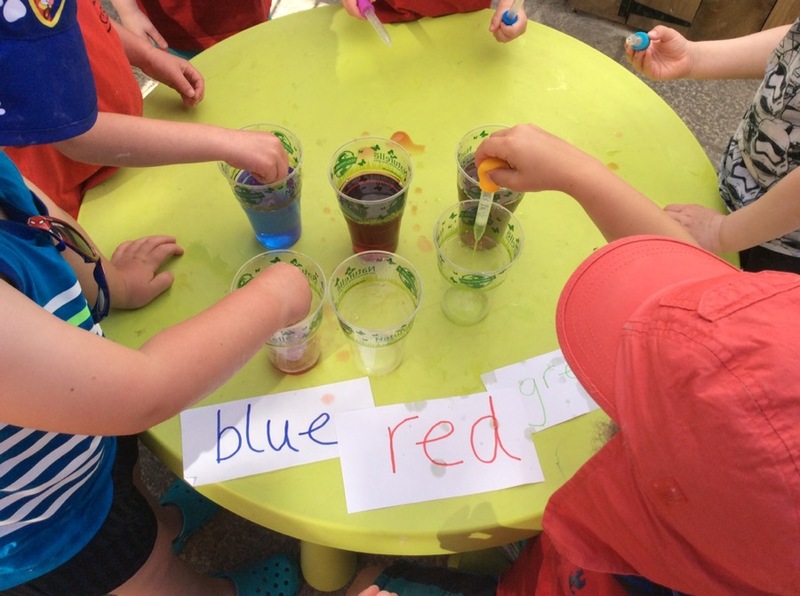 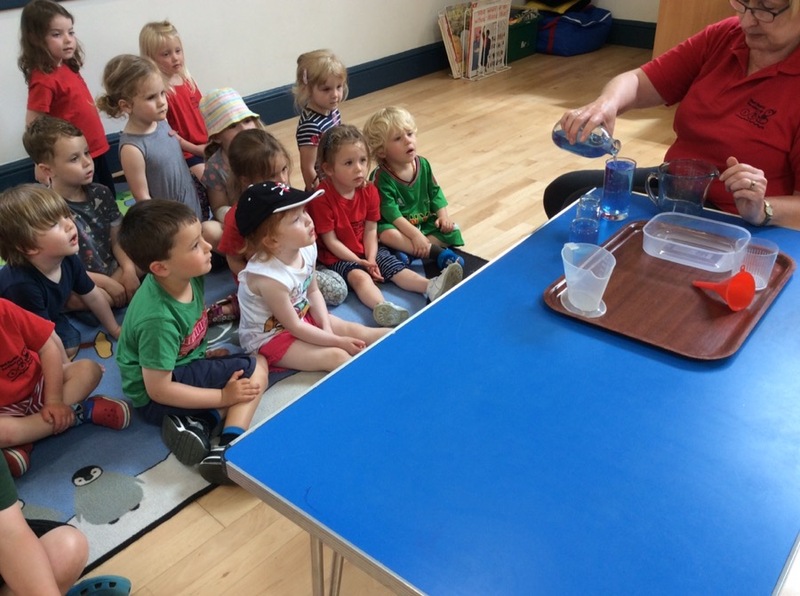 We have created music using coloured water in glass milk bottles. 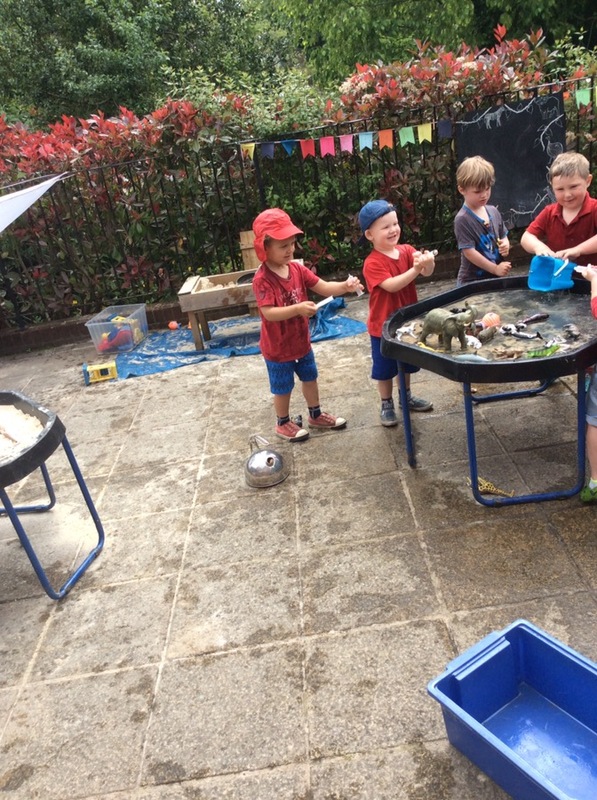 Some of the play has been rather messy this week but this is how we experiment, explore, learn and build our confidence. 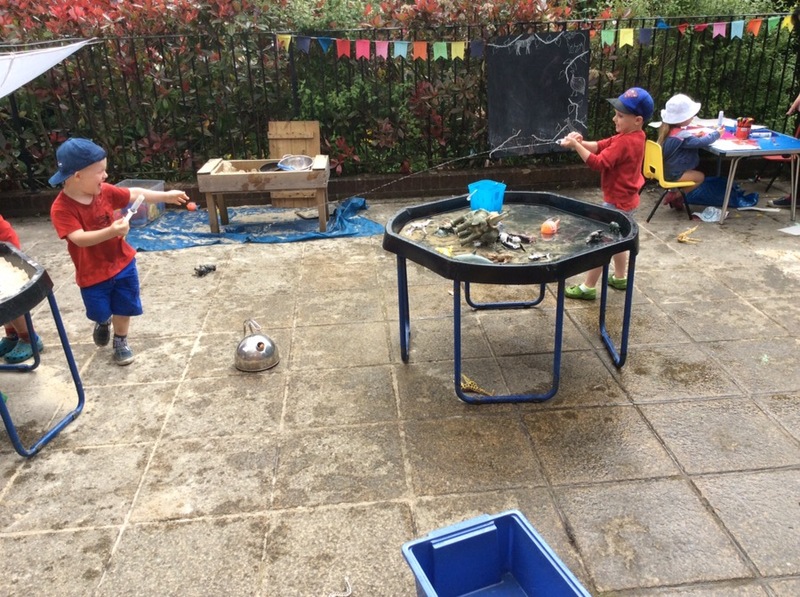 Today we were also looking at floating and sinking. 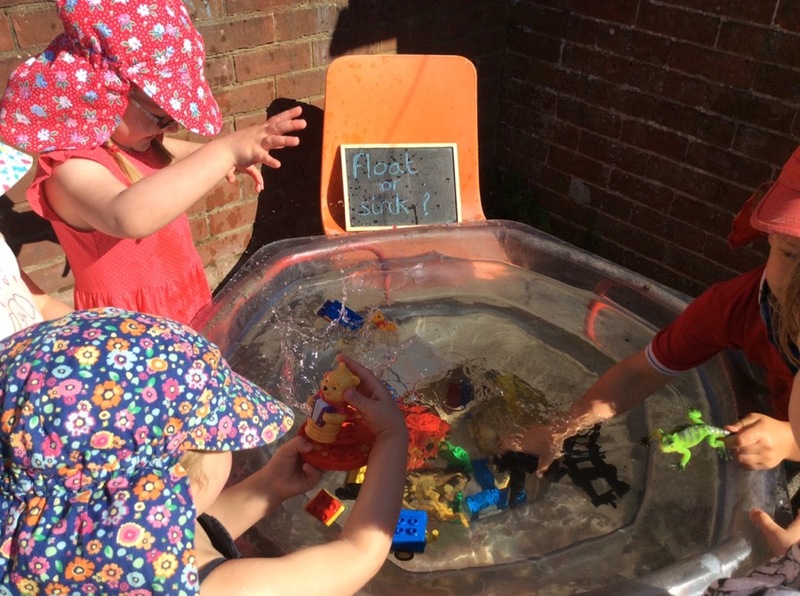 We could either create our own boats using Duplo or bring items into the tank and experiment.